« Why Twitter Matters. Hint: It’s Not Because It’s Popular. 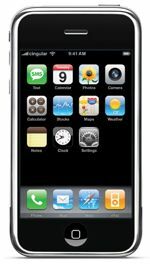 “The iPhone changed the way we think about how mobile media devices should look, feel and perform. The design is exceptional inside and out: It’s got a slick glass-and-stainless steel case and an elegant touch screen loaded with eye candy. It’s an iPod and a 2-megapixel camera. Images and video clips display vertically or horizontally ‚Äî they reorient themselves depending on how you hold the thing. You could argue that the iPhone’s competition was a little weak this year. Other gadgets in the top ten include the Palm Centro, the Samsung P2, the FlyTech Dragonfly, the Iomega eGo Hard Drive & a Belkin WiFi Router. Notably absent from the list is the Amazon Kindle ebook reader, one of the more hyped gadgets of the year.